Hello lovelies, today I have my very first accessories post for you. I absolutely love jewellery, especially necklaces, I've already got lots of them. I personally think that a gorgeous piece of jewellery can finish an outfit, whether it's a stunning necklace piece or a dazzling bracelet. 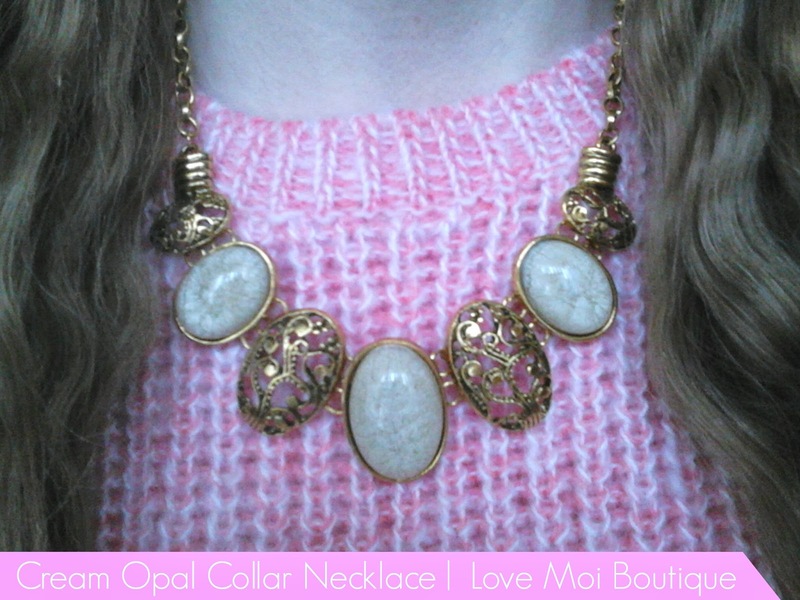 I was trawling through the internet looking for a statement necklace and came across Love Moi Boutique which is a lovely online store full with beautiful jewellery pieces. It's such a lovely online store, I wanted to buy everything but unfortunately I couldn't, that would have put a big hole in my purse. While browsing through the site, the Cream Opal Collar Necklace instantly caught my eye and I decided to place an order alongside a few other lovely necklaces before christmas while they had 20% off and I was excited to receive it through the post a few days later. It was kindly wrapped in purple tissue paper which I thought was lovely, all arrived safely, phew! The necklace is so beautiful with the cream opal gems, it has a lovely vintage style to it too which I absolutely adore. It's very wearable and really does make a great statement no matter what you are wearing, it makes an outfit look so snazzy. You can also get this necklace in different colours such as 'sea green' and 'dusky pink' which I also want to purchase. I only found one downside to it, the chain seemed to break off a little and the necklace did fall off at some point but it's nothing that can't be fixed, I've put it back together now, nothing to worry about. 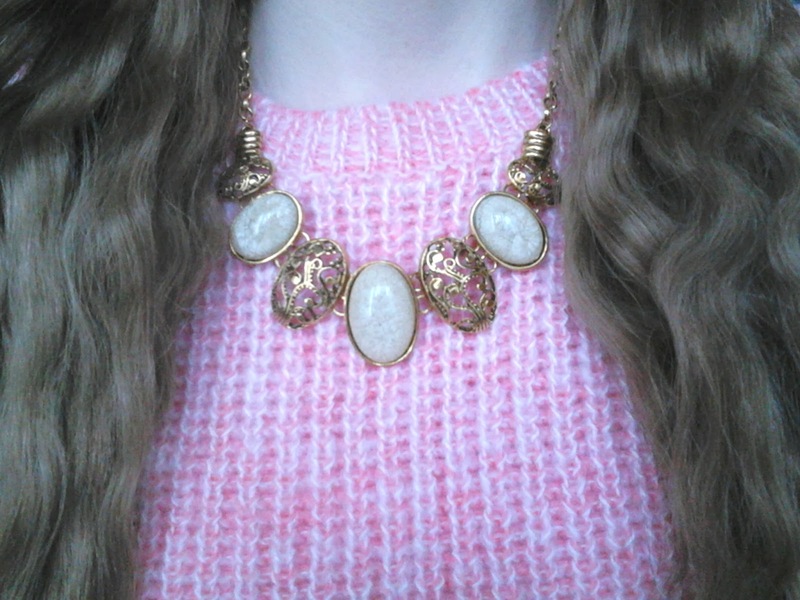 Overall, this beautiful necklace is definitely worth a purchase, it costs only £7 on the site. Currently Love Moi Boutique has 25% off too so surely it's worth checking out girls?